Get My York County Real Estate Listings Before Anyone Else! As soon as I list another home in York County for sale, I'll email you. You'll know first. York County Virginia Real Estate Today! Buying and selling a home is one of the biggest and most exiting events in your life. As a top York County REALTOR®, I have the experience and track record to help find the perfect piece of York County real estate for you and your family. Buying a home is a huge investment of both time and money, and is probably the biggest purchase your family will ever make. My website offers full access to ALL the homes in York County listed for sale through the local MLS listings. Here is a link to my York County real estate for sale. Home Buyer Form - Fill out this form and I'll begin looking for the home of your dreams in beautiful Hampton Roads. Why Sellers Choose Me To Sell Their York County Real Estate! Get the Straight Facts About What Can Make or Break the Sale Of Your Home in York County. Selling your home in York County is one of the most important decisions you will make in your life. How much is it REALLY worth? How long will it take to sell? What should you ask for it? As a top York County REALTOR® with years of experience and a proven track record, it is my job to guide you through the sales process. I want you to get maximum value and sell your home quickly. Let Dan help you buy a home in York County Virginia today! Free York County Relocation Package. Don't Move To York County Virginia Without It! I have helped many families and individuals relocate to and from the York County Virginia area. If you will be moving and will look for a home in York County, we can discuss via email and phone to determine what type of home, price range, and neighborhoods you are interested in. 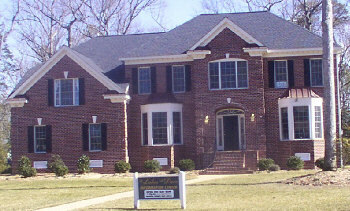 I'll send you all the information I have on York County Real Estate so you can begin your home buying process. Follow this link to request my FREE York County Real Estate Relocation Package. I'll send it right away! What do we think of Dan Newell? "Well when we think of Dan Newell we think of more than just a real estate salesman but more of real estate visionary. He listened to our wants and needs and utilized his experience in York County real estate to help us find our dream home. "Dan showed us many new homes in York county which enabled us to make a educated discussion on the type of home we wanted and location where we actually wanted to buy based on the York County school system. "Dan Newell being retired Military knew exactly what advise to give to me pertaining to VA loans and was well versed in the VA qualifications requirements. His expert knowledge helped us to make a smooth transition in the purchase of our new home in York County. "I would highly recommend Dan to anyone contemplating buying Real estate in York County. It was refreshing to meet and do business with man of Dan Newell caliber."